Haibike XDURO ALLMTN 3.0 2019 Finding new trails and creating new adventures has just become easier, with this aggressively fun thrill seeker. New internal battery IBC frame design, and powerful Bosch motor keep things exciting all day. With Bosch Performance CX 250W motor and powerful Powertube 500Wh battery that tucks neatly into frame, for long range trail sessions, with power to climb steep sections and enjoy the descents. FOX 36 Performance Elite fork with 160mm of travel, custom-tuned for e-bike demands, with the legendary durability World Cup riders rely on. 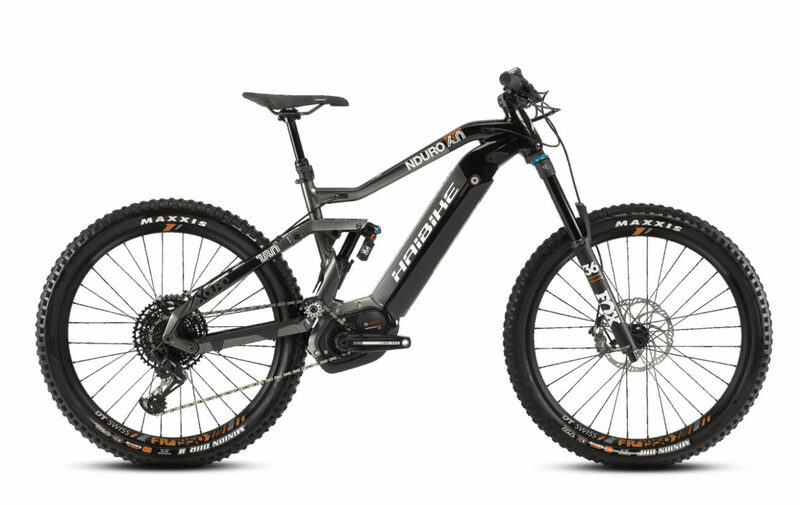 FOX DPX2 Performance Elite shock with 150mm of travel that helps maintain steady power transfer to the trail, keeping the rear wheel driving you forward. SRAM GX Eagle 12spd shifting with 11×50 cassette for getting uphill easily, and downhill quickly, giving you the ability to get the most out of yourself and the bike. 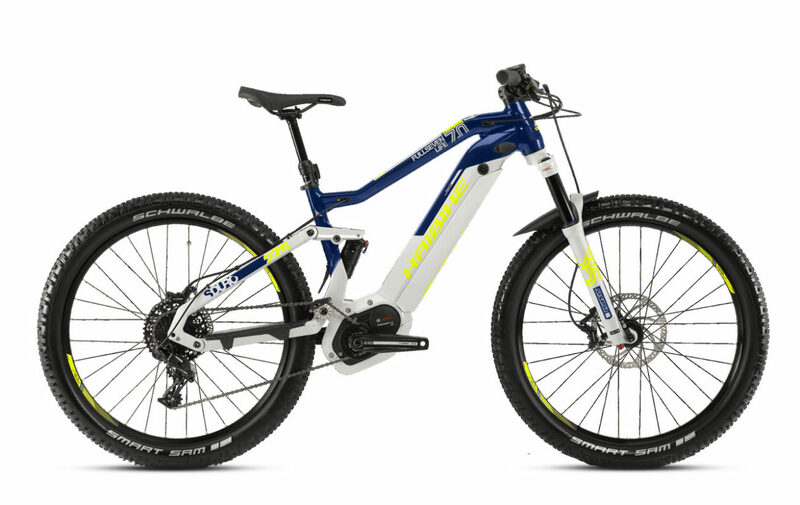 Motor: Haibike XDURO ALLMTN 3.0 2019 is equipped with The Bosch Performance CX motor was developed with a focus on creating a more sport oriented unit. The motor offers an impressive maximum torque of 75 Nm. The “Direct Flow” technique also guarantees powerful support in the lower cadence levels. Trail Control offers a dynamic power management system that allows the rider to choose the optimum support level (50–300 %) for the terrain they are riding, their riding style, and the distance they are looking to cover. 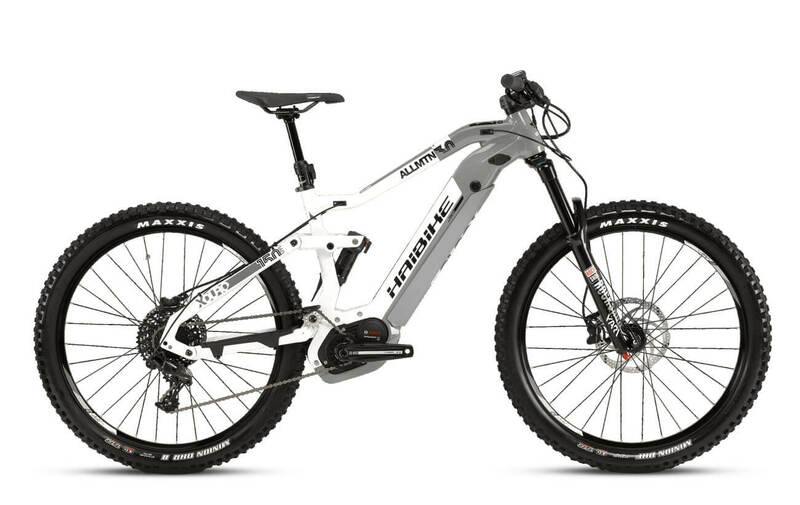 Brakes: Haibike XDURO ALLMTN 3.0 2019 comes with TRP G-Spec Trail S disc brakes hydraulic disc brakes, with 203mm front and 180mm rear rotors, provide serious stopping power and speed control with light lever feel. New Internal Battery Concept (ICB) design places the battery inside the downtube of the 160mm rear travel frame for incredible balance, complimenting the aggressive geometry. 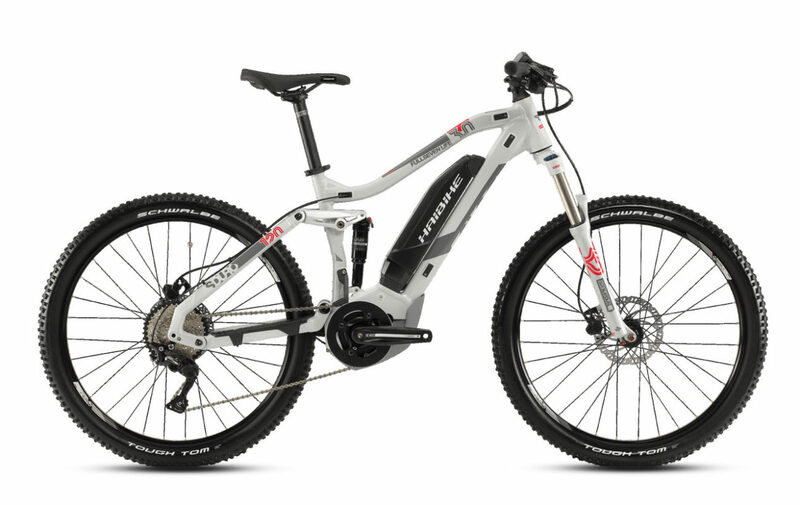 Bosch’s Performance CX 250W motor and internal 500Wh battery are mounted low to keep the bike super stable on technical terrain, with power to get up and over the toughest climbs. RockShox Yari RC fork with Boost dropouts and Deluxe RT rear shock, with 160mm front and 150mm rear travel, to keep things under control when trails get rowdy. TRP G-Spec Trail hydraulic disc brakes, with 203mm front and 180mm rear rotors, provide serious stopping power and speed control with light lever feel. SRAM NX 11spd shifting with 11×42 cassette give you ample gearing, whether cruising to the top of the climb, blasting down the other side, or eating berms for breakfast.